Heads up everyone!! The world’s most prestigious circus is coming to town!! That’s right, the beloved Cirque du Soleil production CORTEO is back, coming to The Forum for five fabulous nights, kicking off on Wednesday 27th March 2019!! 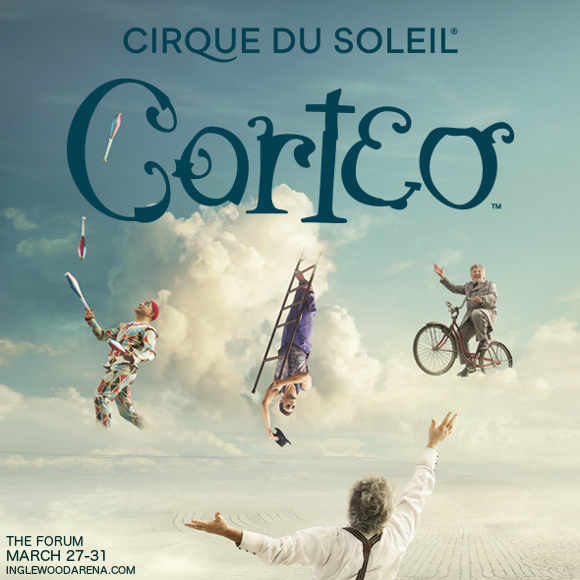 Seasoned Cirque du Soleil lovers will adore Corteo, and if you’ve yet to see a Cirque show, let this be your blissful introduction! Get your tickets today!! Initially a travelling performance troupe, few companies have grown in the scale and magnificence as the incredible Cirque du Soleil. A show focused purely on the incredible feats of the human body, Cirque du Soleil productions mix traditional acrobatics and circus stunts with fantastical storylines, exquisite costumes and set design, and stunning live music unique to every show. This formula has has led to their becoming, without a doubt, the single most popular circus company on the planet. Corteo, a show surrounded in mystery as much as comedy, is one of the most unique of Cirque du Soleil’s many productions. “Beyond the sentimental, the music, performances and overall vibe of this show is simply enchanting,” wrote FanBolt in a review. “Corteo, which means ‘cortege’ in Italian, is a festive parade all imagined by a clown. The clown pictures his own funeral taking place, but this isn’t a sad experience but a fun carnival atmosphere where through a timeless celebration takes place where illusion teases reality, all while angels watch from above”. Get your tickets to another world now, and prepare to be amused, entertained, and astounded! !